Ssiksin Chicken was highly recommended by a friend whom I have not met in years. She was telling us that she had such a huge craving for Korean fried chicken. Actually, I had too and mine was due to a frivolous reason - You who came from the Stars. Remember the cute lady who kept chomping on fried chicken and beer? Anyway, this restaurant should change its name! Until now, I still do not know how to pronounce it properly. 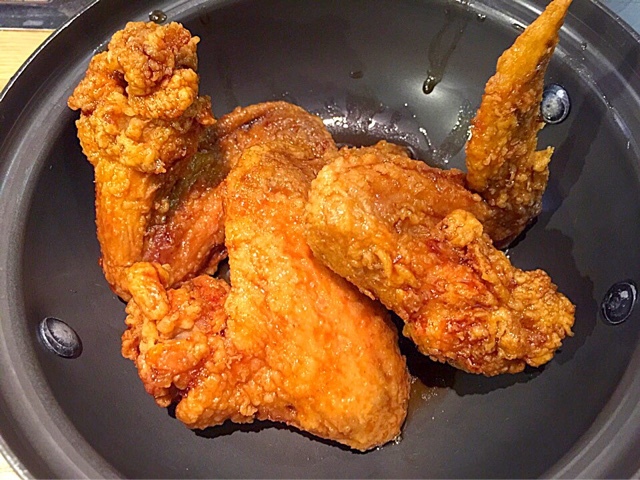 Usually, we referred it to the Korean Fried Chicken in Nex. We ordered the Spicy Seasoned Chicken. I love it that the wings are reasonably huge. The flesh is juicy and the coating of the sweet spicy sauce was of omph standard. 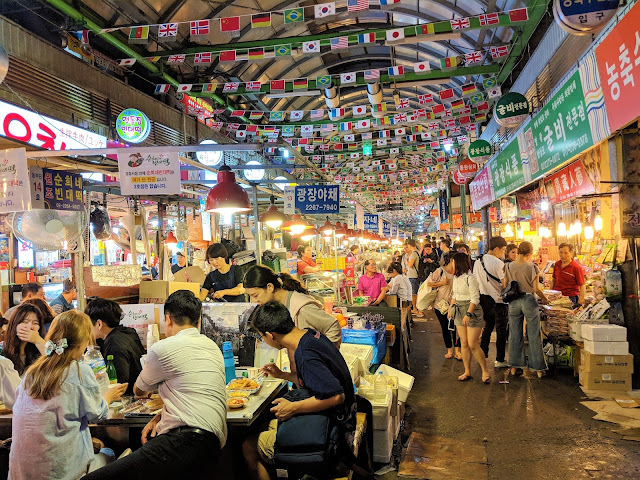 The drawback was that it is not difficult to find another Korean stall selling similar wings of similar standards. So, if you are in the vicinity and you are craving for KFC, this might be the answer! 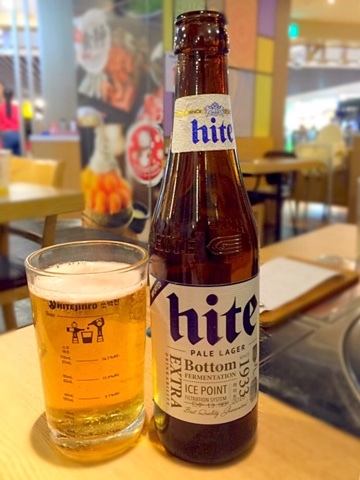 Beer Beer Beer! It is a must to balance the heat from the deep friend wings. Come on, the truth be told, I just wanted to imitate the pretty lass in You came from the Stars. I took a pretty ugly picture of the side sides because I was sorely disappointed. 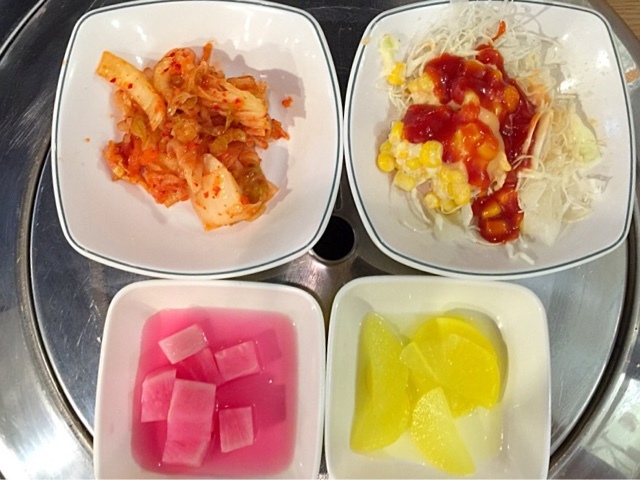 I adore Korean food and one of the reasons was because of their numerous plates of complimentary side dishes. These side dishes do not look appetising because of the colouring. The corn dish was pretty nice. Other than chicken, they also served other main dishes. 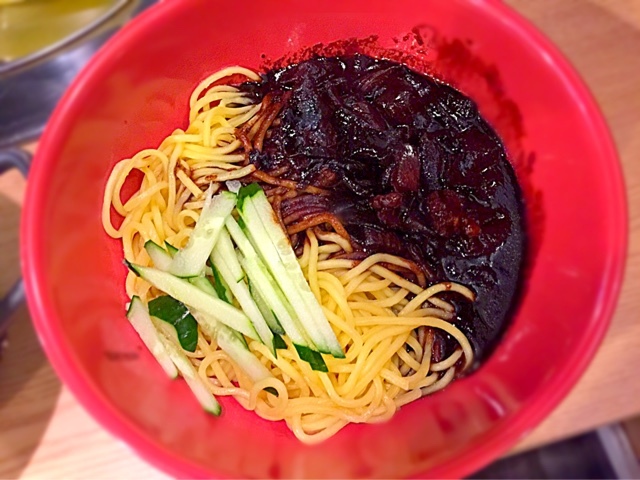 We ordered Jajangmyeon - very average. I took this picture because I simply appreciated the glove! 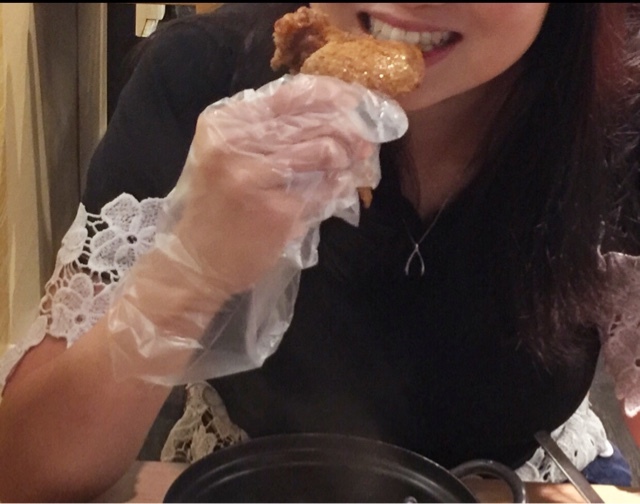 Although I could not lick my fingers, I could grab the chicken wings and chomped and chomped, without worrying about washing my hands! Thoughtful! 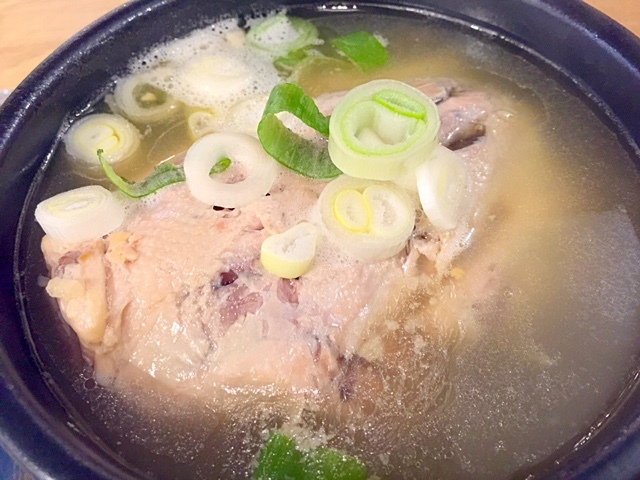 I also tried their version of Ginseng Chicken Soup. It was as nice as the other main. Palatable but failed to leave a lasting impression. It is definitely a place for Chicken and Beer. If you are in Nex, check them out! Their restaurant signboard is not very prominent. Good luck!